Wounded Times: Texas Veteran of WWII and Korea Receive Awards At Age 90! 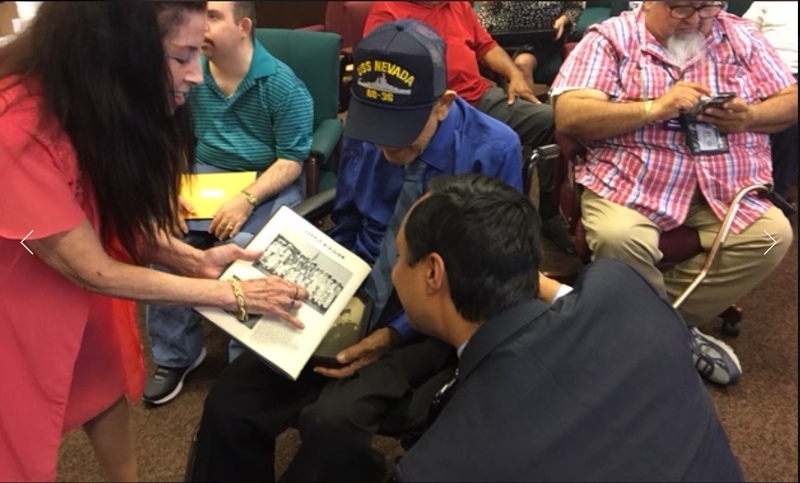 Texas Veteran of WWII and Korea Receive Awards At Age 90! SAN ANTONIO — A 90-year-old man who served in World War II and the Korean War was honored during a ceremony in San Antonio Wednesday. Petty Officer De La Garza was awarded eight awards during the ceremony: the Navy Combat Action Ribbon, the China Service Medal, the American Campaign Medal, the Asiatic-Pacific Campaign Medal with Three Bronze Service Stars, the Navy Occupation Service Medal with an Asia clasp, the World War II Victory Medal, the Honorable Service Lapel Button for World War II, and the Navy Honorable Discharge Button.